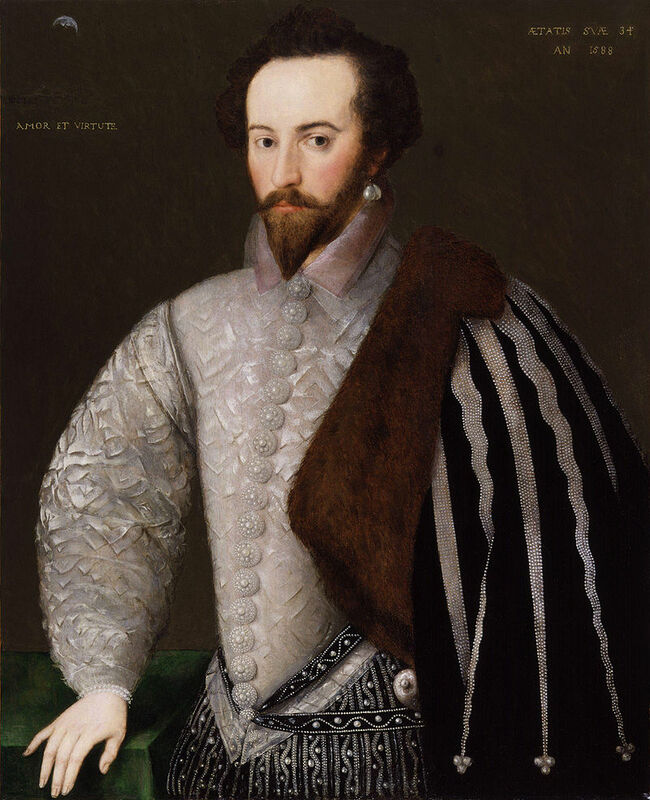 A colorful courtier in the court if Elizabeth I, Raleigh organized and sponsored an English colony on Roanoke Island, in what is today North Carolina’s Outer Banks. The colony was established in August 1585, but was quickly abandoned. In July 1587, another contingent of 150 colonists arrived to reestablish the settlement, only to vanish, leaving the word Croatoan carved into a tree as their only trace. Raleigh never visited the colony himself.